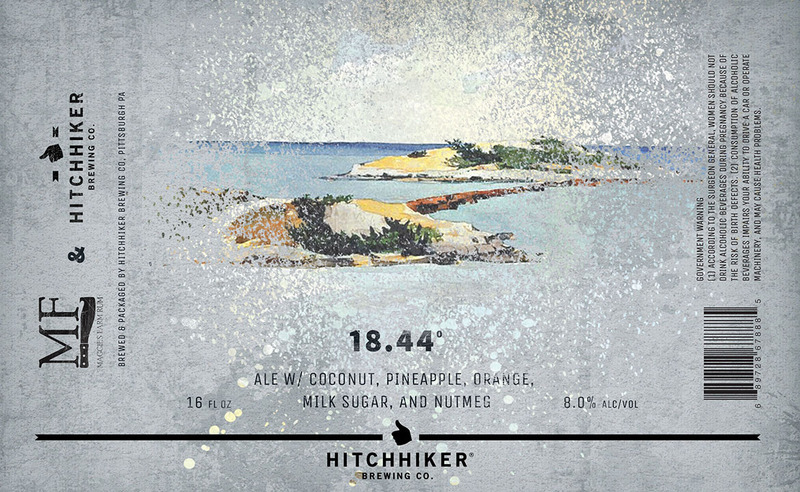 18.44 | Hitchhiker Brewing Co. Brewed with wheat and milk sugar. Conditioned on coconut, orange, pineapple, and a touch of nutmeg. This is a collaboration with our friends at Maggie’s Farm Rum. This cocktail inspired beer was modeled after the infamous Painkiller.